Some people view the quantified self as a way of life. Others see it as a game. Others do both. 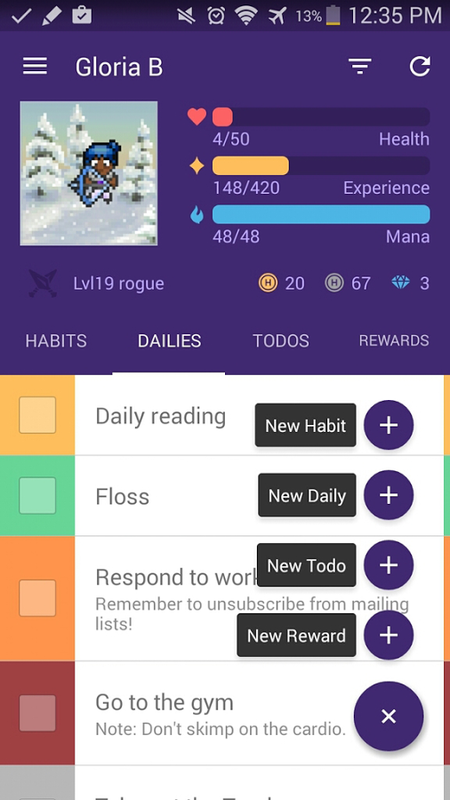 Those folks got together and created HabitRPG, a to-do list app of sorts that lets you turn the mundane trials of everyday life into a video game. Okay, more than a few people feel this way. 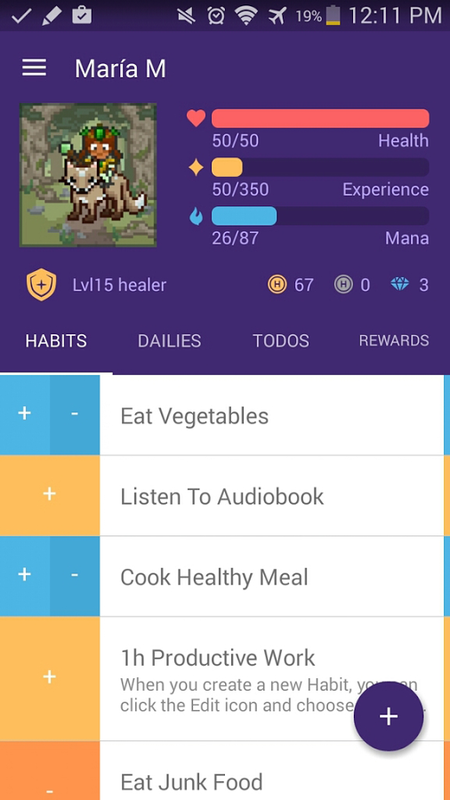 HabitRPG was born as a kickstarter project in 2013. 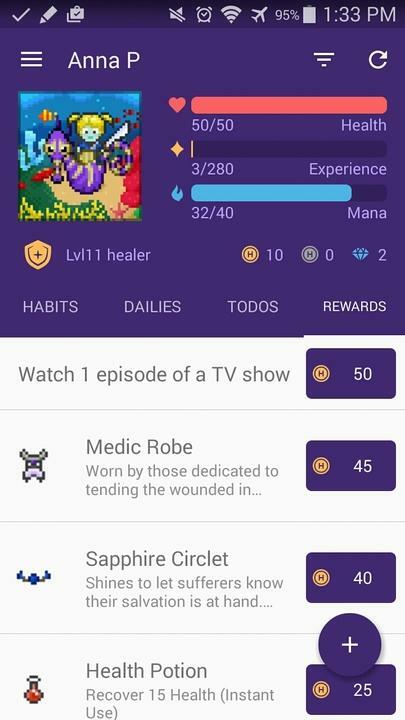 Back then, nearly 3,000 people pledged over $40,000 for the chance to experience their lives as a pixelated companion app. 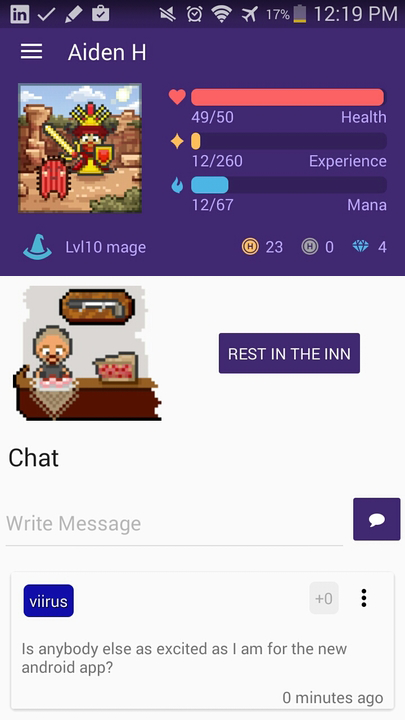 The app was rough back when I gave it a shot in those early days, but the developers haven't left this app to stagnate like an unwanted party member. 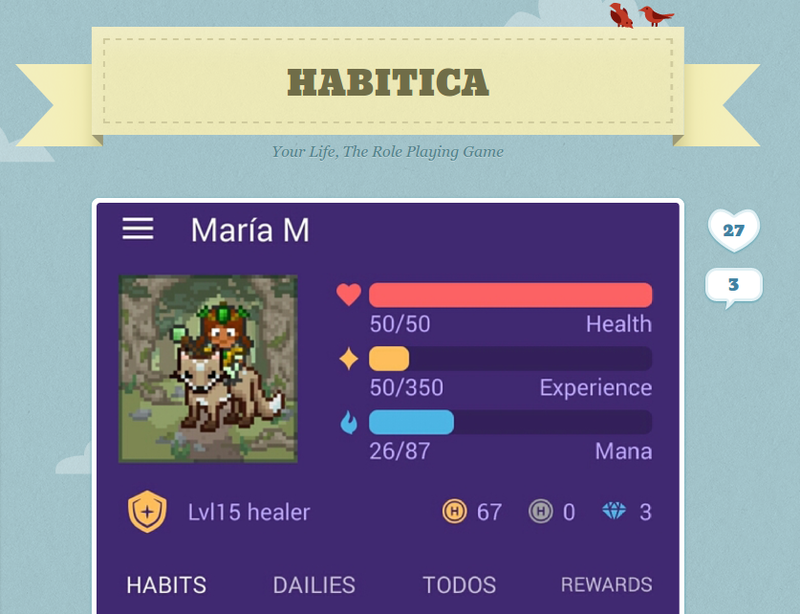 The team has recently released the beta version of Habitica, a completely redesigned version that embraces material design. 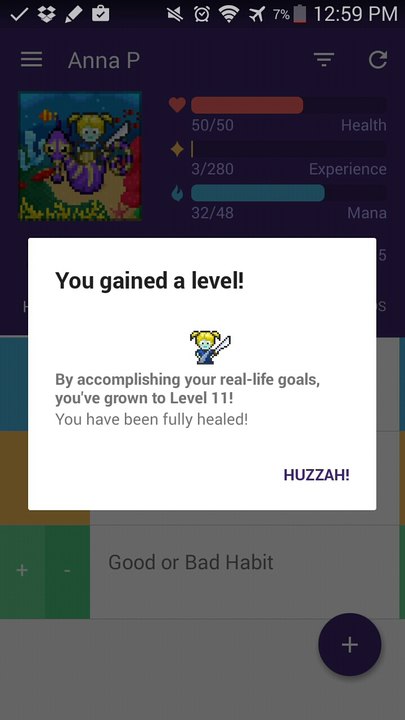 The core experience remains the same. You still have habits (cooking instead of eating out), dailies (flossing in the morning), and other to-dos (remembering to mail off that letter). 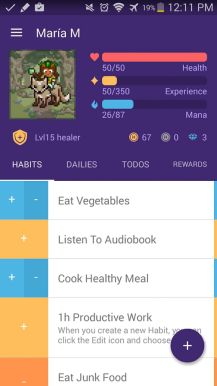 Completing any of these things earns you gold that you can spend on rewards. Some perks you create yourself, like going to see a movie. 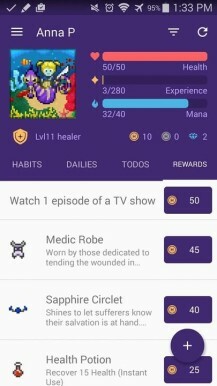 Others are more of the loot variety, such as virtual armor and pets. 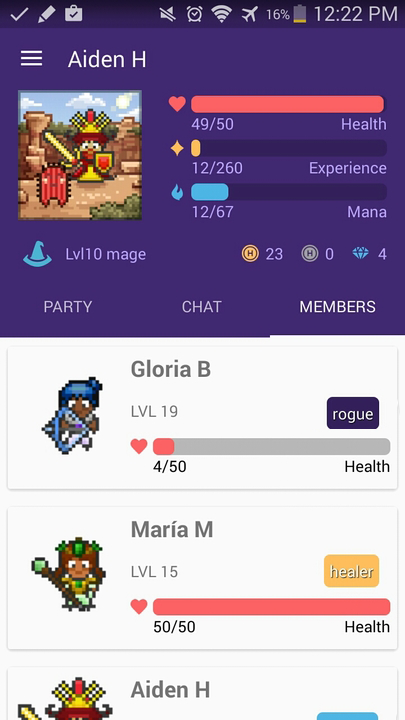 You can play with other players by adding them to your party, and all of you can communicate inside the app. 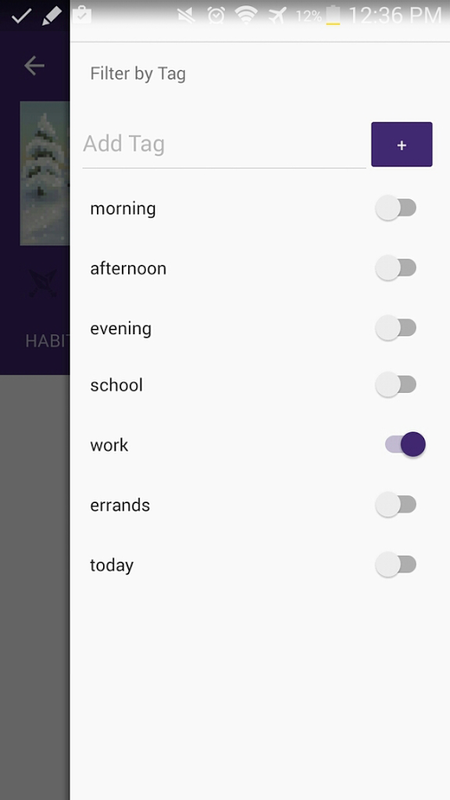 The redesign divides everything into tabs, sticks a floating action button in the bottom corner, and has a side navigation menu that pops out a layer above everything else. 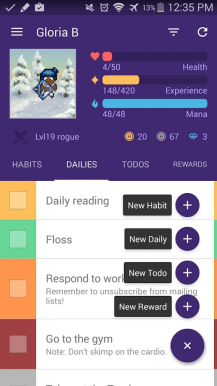 You can download the beta straight from the Play Store. If you encounter any bugs, squash them. The guy at the inn told me a basic fire spell or warhammer should get the job done.